High fantasy has been a common theme for role-playing games of recent years. Knights, medieval European architecture and weaponry, and even dragons have established the backbone for too long. The Dark Souls series most famously took these tropes, even from its beginnings with the Kings Field series, to build a genre all its own of hard-as-nails action RPGs that punish the player for failing to exercise caution. Even clones of the series such as Salt and Sanctuary or Lords of the Fallen have returned to the same European settings that we’ve been subject to for too long. Team Ninja’s samurai epic, Nioh, moves to change that scenario by taking the player deeper into the Far East where dragons and knights have been replaced with more vicious samurai and yokai. Originally designed as a tie-in to an unfinished Akira Kurosawa script during the heyday of the PlayStation 2 console, Nioh has been redesigned and retooled over the years before its current form of a Playstation 4-exclusive designed by Team Ninja. Those thirteen years of development have reshaped and morphed Nioh into its current form: a brutally difficult RPG with more than a few passing similarities to From Software’s Souls series. Taking the role of William, an Anglo-Saxon samurai with an Irish accent that hails from London, players embark on a mystical tale exploring Japan during its most famous time period for foreign studies: the Sengoku era. As an outsider, William travels across the land of Japan, aiding the locals and tendering folded Japanese steel against the likes of fellow samurai, zombies, mythical beasts, and Yokai. 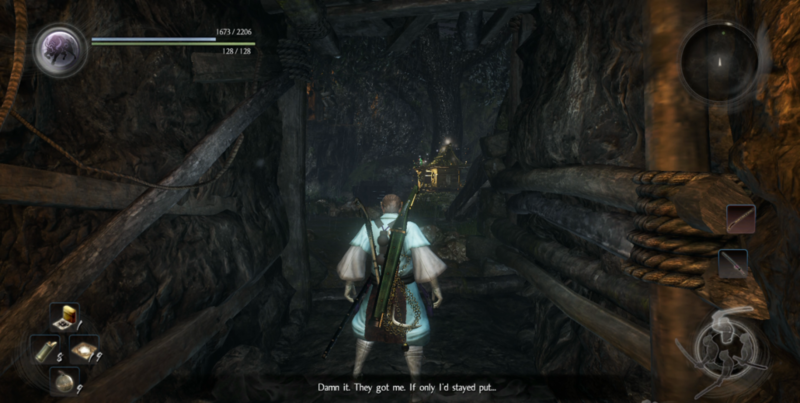 Nioh’s progression system eschews the expansive open worlds of the Souls series and brings the player into isolated missions that each operate in their own miniature sandbox. Make no mistake, these levels are still filled with devious traps, shortcuts, and even the safety net of shrines to level up and replenish the player’s magicks. 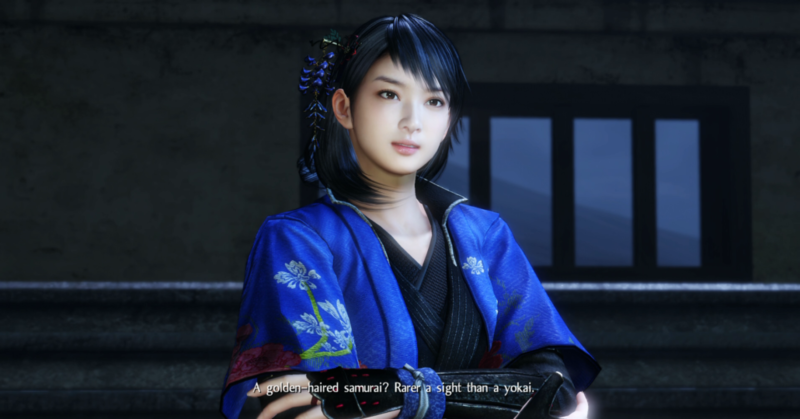 Each main story mission in Nioh has its own massive level to explore through, frequently with some form of boss battle at its end, whereas the side missions reuse these environments in unique ways and give reason to revisit a familiar landscape with the promise of fresh loot and precious Amrita, Nioh’s version of experience points. Nioh has some of the most satisfying melee combat I’ve played in an RPG to date. The constant flow of swapping between stances to counter the enemy sets up mind games that go far above and beyond what the average Souls games offer. While utilizing all of the mechanics in tandem is rarely required to beat all but the heartiest bosses, it can be so gratifying as the flow of combat comes together. The deliberate combat fashioned into its own genre by the Dark Souls series can often only lead to a swift death in Nioh. To truly succeed in feudal Japan, the player must be bold and step out of their comfort zone and press the advantage whenever it comes. Most enemies have just as limited a Ki pool as William himself and are just as prone to being staggered when it empties out. Adjusting to the offensive style of Nioh’s elaborate combat will certainly take a few deaths before the player might get the flow to properly click, but the rewards for understanding even how to press the advantage will make quick work of Nioh’s diverse cast of bosses. Perfectly timing a ki pulse to regenerate William’s stamina (Ki) and continue a tricky combo makes the player feel like a badass and feels more satisfying than any other gaming moment of 2017. Being brash and charging in with strong overhead attacks might be enough to take out some of the weaker peons, but one wrong move can mean a quick death. As William’s blades meet their mark, any enemy is cut down in a matter of seconds, but the same can mean the same for our foreign hero. I can’t even count the number of times that I died by being too bold and trying to take on a group of two or three enemy samurai, only to get my Ki drained and my face smashed into the ground. Redemption can feel incredibly satisfying when you come back to life, after making that run back to where your corpse remained to recover any stashed Amrita, and style on those samurai with stance changes and perfect parries. Magic is often an underutilized skill in Dark Souls. More often than not, in order to be effective in its use, the player must often dedicate their build towards magic and forego some of their melee training. 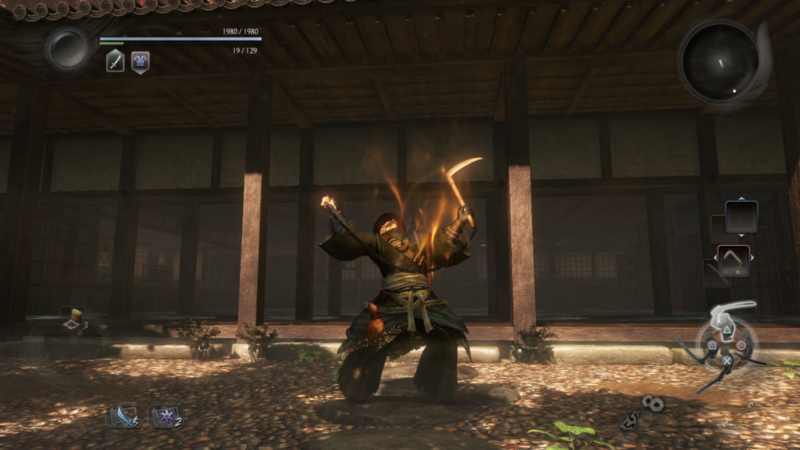 Nioh melds the two together and most abilities in the ninjutsu and magic skill trees can be used alongside a katana or bow. With only a few points invested into Dexterity and Magic, that was often enough to bring along enough consumables to improve William’s odds of survival. Perhaps the single greatest investment that the player can make into. Nioh is one of the few games in its genre that doesn’t slap the player in the face for trying to build into a Jack-of-all-trades type of character. Each of William’s stats feeds into one another and complement nicely. While Nioh only offers a handful of different weapon types, I never felt like I was handicapped from putting my trusty katana down and wielding a spear or kusarigama (sickle and chain) in its place. 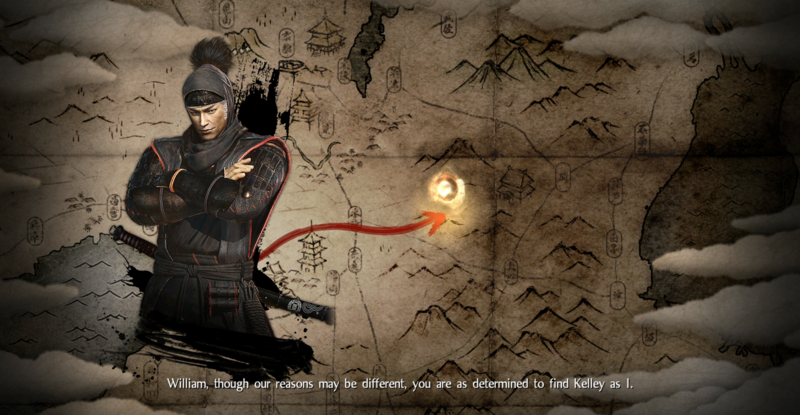 In addition to basic stats, skill points can be utilized to unlock skills across each weapon tree and magic type with many of the skills unlocked offering universal perks that augment William into becoming a nigh-invincible yokai slayer, assuming he doesn’t misstep and get knocked out in one hit by a giant Japanese demon. Putting the difficult nature of Nioh aside, the finely tuned combat that Team Ninja has crafted for this samurai epic is among the best I’ve played in years. Nioh more than satisfies my craving for a new Onimusha to come out of the Capcom teams while simultaneously feeding my hunger for another Souls-style affair. The difficulty may be enough to turn some prospective gamers from stepping into William’s boots, but those that persevere through the fields of yokai and demons will be rewarded with one of the finest PS4 exclusives to date. Nioh is among the finest exclusives to grace the PS4, melding samurai action with the framework of the well-renowned Dark Souls series, although its devilish difficulty may send William to an early grave.